Welcome to my blog. I pray you will be blessed and encouraged as I record the wonderful ways in which God has led me in my nursing career. Please contact me at Pamela.aprn@gmail.com with any questions, comments, and prayer requests. When I was in high school, I first learned the wonderful good news about the Lord Jesus Christ when I read John 3:16. I received Him as my personal Savior, was forgiven of all my sins, received eternal life, and began my eternal relationship with my Creator. (See Life Changing Letter post.) As I began to grow in His grace through studying the Bible, and meeting other Christians, God gave me a desire to become a nurse with the hope that He would use me to point others to my dear Savior. I received my BSN in 1977 from one of the largest universities in the USA and enjoyed participating in a campus ministry during my college years. Since then, I have worked in a variety of specialty areas including hospital medical-surgical nursing, diabetes, obstetrics, staff development, hemodialysis, home care, and case management. 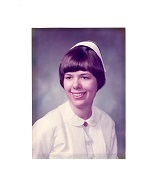 In 1998, I earned my MSN and became a Family Nurse Practitioner. As a FNP, I have worked in psychiatry, geriatrics, rehabilitation, and home care. I enjoy traveling and have had the joy of visiting over 20 countries and 46 of the 50 United States. My remaining states to visit are Alaska, Arkansas, New Mexico, and Oregon. I also volunteered on several short-term medical mission trips. I thank God for my friends around the world who have enriched my life. I have changed the names of most of the people I mention. I purposely try not to use medical jargon so the person who has no medical background can easily understand.